They created a tiny device, smaller than a human hair, that translates electrical bits (0 and 1 of the digital language) into light, or photonic bits, at speeds 10s of times faster than current technologies. "The device has been built as a plasmonic modulator," said Christian Haffner, a graduate student at ETH-Zurich and lead author of the paper. "This is unusual as the traditional implementation relies on photonics rather than plasmonics. As a matter of fact, researchers avoid plasmonics, as plasmonics is known in all industry as a technology that comes at the price of highest optical losses. Yet – and this is by far the most spectacular finding – a trick has been found to use plasmonics without suffering from such high losses." To increase the information-handling capacity of computing, telecommunications, sensing and control technologies, data needs to be communicated with high bandwidth over vast distances without signals (information) degrading, or consuming too much energy and generating too much heat. That's where the new technology described in the Nature article fits in. Called an electro-optic modulator, the device converts electrical signals into optical ones capable at traveling either over fiberglass optic cabling or wirelessly through space via satellite and cell towers. This must be accomplished with excellent energy efficiency using extremely small devices capable of processing massive amounts of data. "The device must be very sensitive, capable of responding to very small electrical fields. If the fields needed to control the device are small, then the power consumption is low as well. This is important as energy efficiency is critical to all applications," co-author Dalton said, adding, "You want to avoid generating heat and information degradation in computing or telecommunication applications." However, transitioning to plasmonics, this footprint issue has now been solved. And it all started when an international team of scientists and engineers set out to improve the device by integrating better organic electro-optic materials with plasmonics. Plasmons are created when light impinges onto a metallic surface, such as gold. Photons then pass on part of their energy to the electrons on the metallic surface such that the electrons oscillate. These new photon-electron oscillations are called plasmon polaritons. Working with plasmon polaritons permits dramatic reduction in the size of optical circuitry and bandwidth operation many times that of photonics. Compared to the 2000 discovery, the bandwidth of the devices increased by almost a factor of 10 while reducing the energy requirements by almost 1,000 and this translates into a reduction in heating. The Achilles' heel of plasmonics, however, is referred to as optical loss. While signal degradation with distance of transmission is not as bad as with electronics, signal degradation with plasmonics is much worse than with photonics. "The ETH and Purdue researchers conceived of an elegant device architecture that addresses the problem of plasmonic loss and achieves loss comparable to that of all-photonic modulators by using a combination of plasmonics and photonics," Dalton said. "This is a doubly significant advance in plasmonics and organic electroactive materials, made possible through creative iteration between materials prediction, design, synthesis, and property optimization," said Linda S. Sapochak, division director for materials research at the National Science Foundation, which helped fund the research. 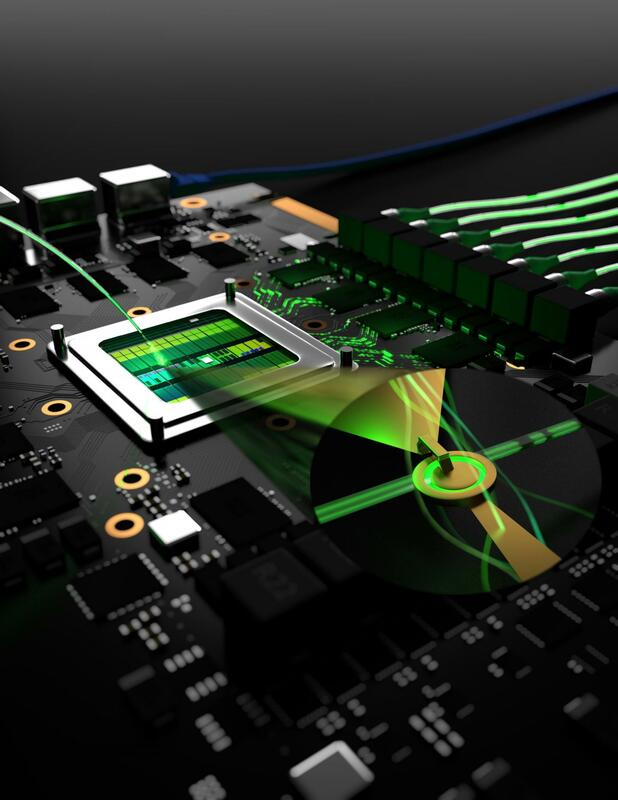 The integration of electronics and photonics on chips has been recognized for more than a decade as a critical next step in the evolution of information technology. Information technology is the science of how we sense our world and both process and communicate that information. "In that sense, you might think of electro-optics as the 'on-ramps of the information superhighway,'" said Dalton.